We are bioinformatic consultants able and willing to help you see the key features in biological high throughput data. We custom develop analytical pipelines, integrate diverse data and educate our clients with open-source tools so that they can solve their research questions. We can quickly run specific 'omic analysis pipelines, integrate diverse datasets, construct networks and signaling pathways, and provide journal quality data visualizations. We can mine data, literature, patents or FDA submissions. Either as project based, or on-going retainer, we can develop and install custom analysis pipelines, purchase your hardware or set you up on with a cloud service. We will do all of this from a biological and pharmacological perspective and tailor the outcome to your specific research aims. We use all open-source, peer reviewed, vetted software tools or will develop from first principal. Nothing is commercially limited. We educate not only to allow understanding, but provide all the information so that you can reproduce and reuse the analysis. 100% of all scripts, code, databases, parameter settings and software versions are supplied with an easy to read executive summary. We operate in an open, honest collaborative environment to ensure analysis goals are exceeded. We will deliver reproducible results, timely. We read literature and news reports to keep abreast of current needs, pain-points and novel products. We will tweet news and forward publications that are interesting to our mission. We will create and freely provide tech sheets on bioinformatics for those interested. We will regularly blog to allow our readers to get to know us and our biomedical and agricultural passions. To provide the clearest possible view of high throughput biomedical and agricultural data. 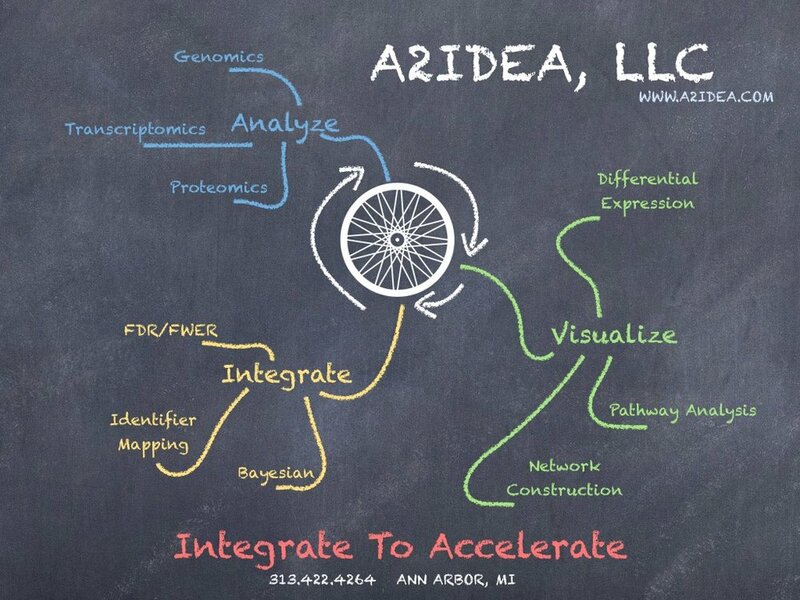 Let us Analyze the Data so that You Can Accelerate Your Research. Please don't get frustrated trying to become a bioinformatician, use your time at what you do best and let us do what we do best; analyze data.